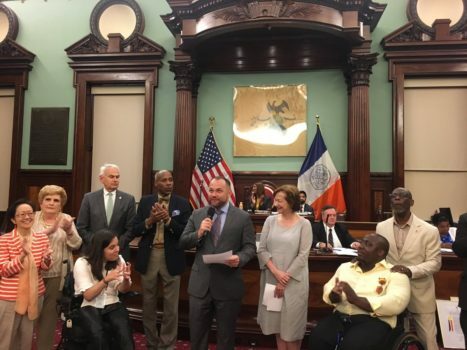 NYC council members presenting representatives of CIDNY with a proclamation. 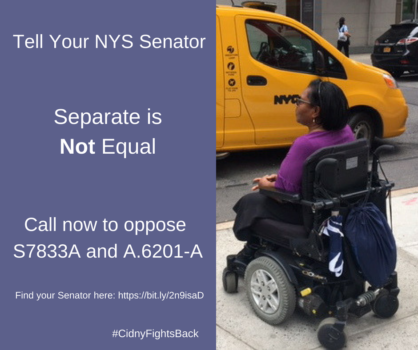 We are part of a coalition of disability rights groups that oppose S.7833-A and A.6201-A. 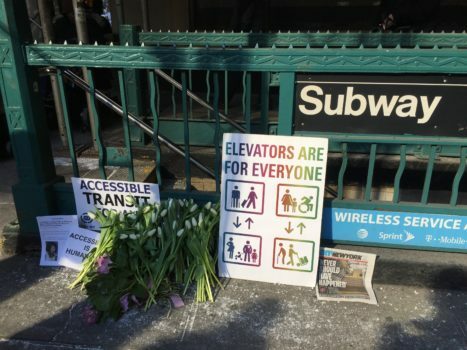 This is a backdoor attempt to overturn a long-awaited New York City Taxi and Limousine (TLC) regulation intended to get wheelchair-accessible for-hire vehicles (FHV) on the road across New York City.